We will be raffling off a $100 Rogue gift card. Do you want a chance to win? Write us a review on Google, Facebook, Yelp and Nextdoor to have your name entered into the drawing. A Google review is worth 2 entries and the others are worth 1. That means you have 5 chances to win the gift card if you write on all 4 platforms. We will announce the winner on August 31st. Happy reviewing! During our 6 week challenge, there will not be 10am classes held as these are reserved for the challenge class. We will host 9am partner WODS. This month we are challenging everyone to eat 800g of fruits and veggies everyday in August. The key is that you can weigh the item as a standalone or unprocessed item. It does not matter if the item is cooked, canned, frozen, or fresh. *Dried fruits/vegetables and juices do not count towards the total. -For tracking points for this challenge we will use SugarWOD, there will be a checkbox everyday where you can check on the days you hit your goal. We are rolling out an exciting new tool to help you track your workouts! Download SugarWOD to log results, prepare for the WOD, and encourage your fellow athletes. Both Android and iOS apps are available. 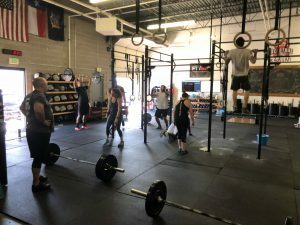 Find the app in the App Store, Google Play or download at https://www.sugarwod.com/get-started. 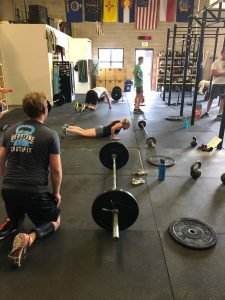 Once you download the app on your phone you will be asked to create a quick profile and then you will need to join Redstone CrossFit as your box. There is a gym password which is: livelifewell Please let us know if you need help with the set up or using the app. It is very user friendly and fun to use! 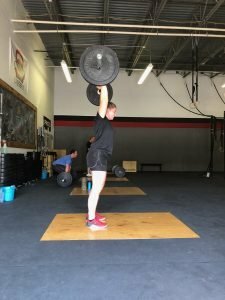 We will not be holding a partner WOD this Saturday August 18th as we invite you to join us for the 9th Annual Q-Man Classic 5K Run. This run is a memorial run in honor of Quinton Sanford. Quinton was a student at Highlands Ranch High School and an active member of the Cross Country Team. Q-Man, despite his struggle with autism, showed perseverance and dedication to all things HRHS. Quinton’s passion, positive attitude, and love for all aspects of life are qualities we believe our entire community should emulate. All proceeds will go to Autism Speaks and the Q-Man Scholarship for Cross Country. 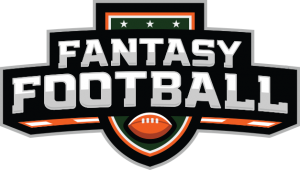 The fantasy football draft will be Sunday August 26th at 1 pm at Max Taps. Even if you’re not participating in the draft, feel free to come hang out and enjoy a relaxing Sunday afternoon on Max Taps awesome patio. 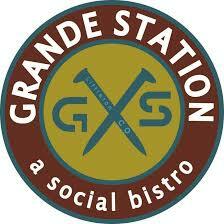 The next ladies brunch event will be at Grande Station a Social bistro located on Main street in downtown Littleton on September 9th at 10:30.We hope to see you there! 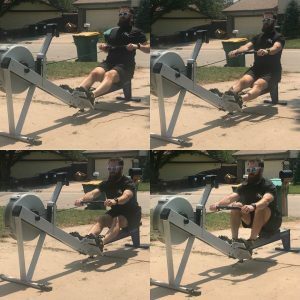 Are you interested in learning more about rowing or becoming a better rower? We will be hosting a rowing seminar with coach/owner of Smooth Rowing, Aaron Varcasio. The seminar will be held October 27th from 10:00 am – 12:00 pm. There are only 10 spots available so please sign up as soon as possible. Have any questions? See a coach for more details. This year we will be honoring all who have served on Saturday November 10th. We will also be hosting our first chili cook-off! Are you interested in showing off your pot of chili? Sign-up for an entry today! We are doing pre-orders for our new hoodies! The pre-order form is hanging on the blackboard at the gym. Order deadline is August 31st at 5 pm.